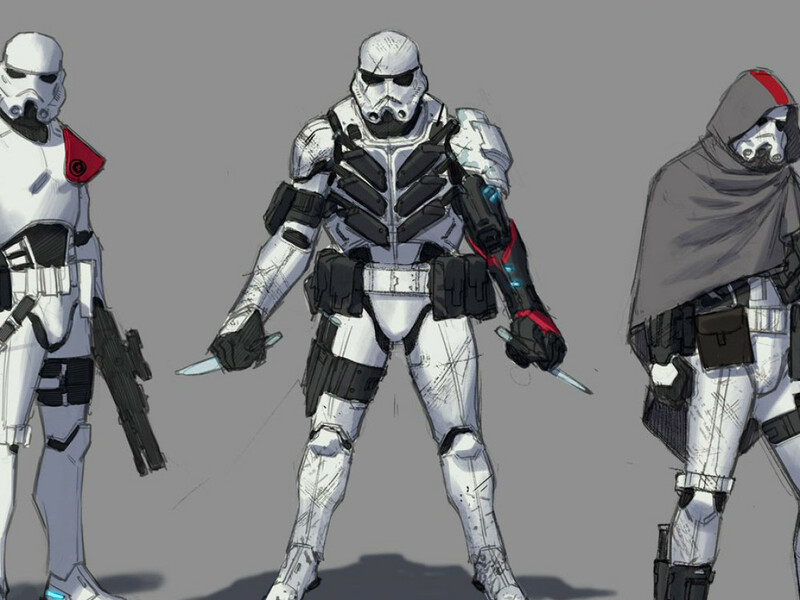 StarWars.com speaks to the writers of a major new Star Wars event starring Luke Skywalker and Doctor Aphra, and gets a first look at covers and concept art. Han and Chewie. C-3PO and R2-D2. Rey and Finn. 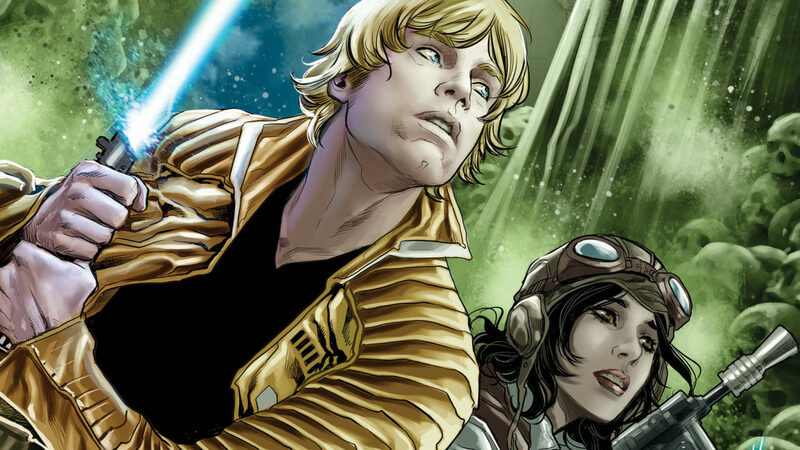 Star Wars is filled with great duos, and an upcoming Marvel event is going to give us a new, if very, very unlikely one: Luke Skywalker and…Doctor Aphra? 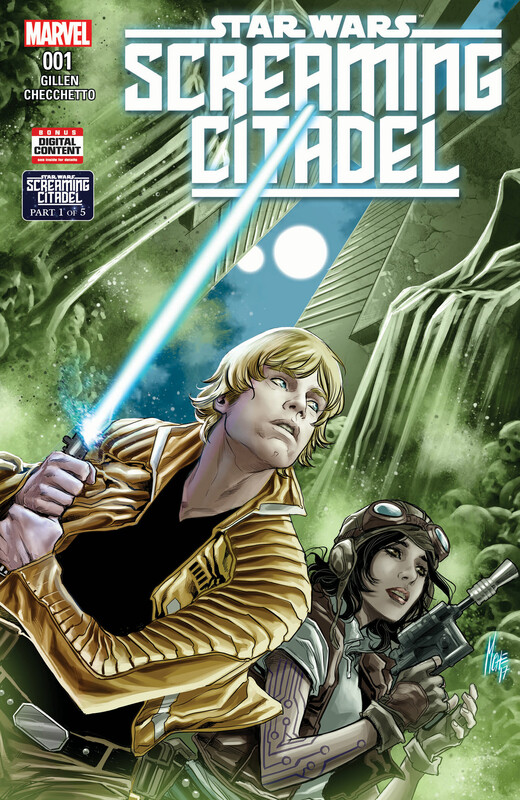 StarWars.com and The Star Wars Show are excited to reveal Star Wars: The Screaming Citadel, a five-issue crossover that finds Luke reluctantly teaming with the shady-but-cool archaeologist to investigate the Screaming Citadel, an infamous castle located on the edge of space. 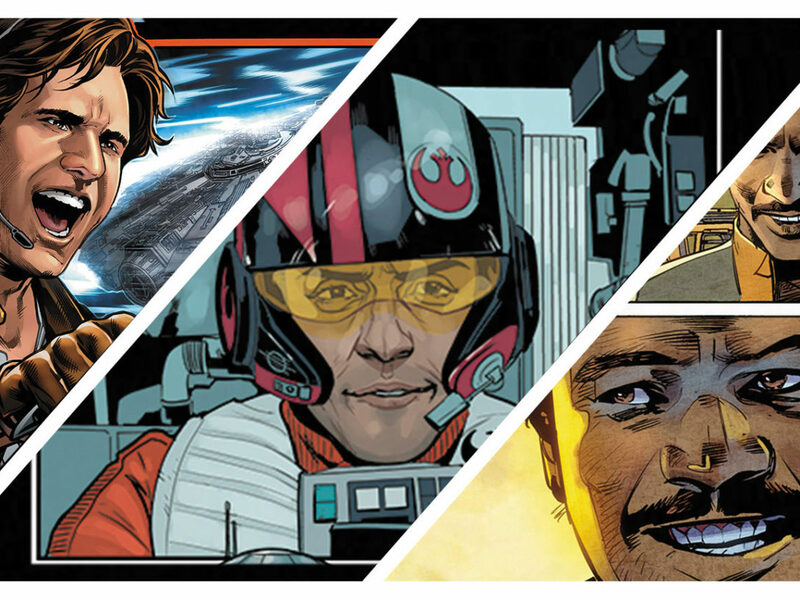 It kicks off in May with the Star Wars: The Screaming Citadel one-shot by Kieron Gillen and artist Marco Checchetto, then continues in Jason Aaron’s Star Wars #31, Gillen’s Doctor Aphra #7, and on. StarWars.com spoke with Gillen and Aaron to find out more, including who else will show up, how they’ll take Star Wars into gothic-horror territory, and how The Screaming Citadel, much like 2015’s Vader Down crossover, will have a great impact on all characters involved. StarWars.com: What can you tell us about the story? 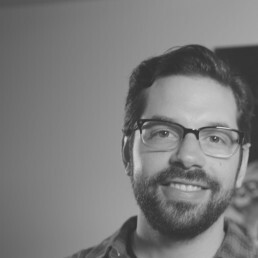 Jason Aaron: It spins out of Kieron’s Doctor Aphra series. 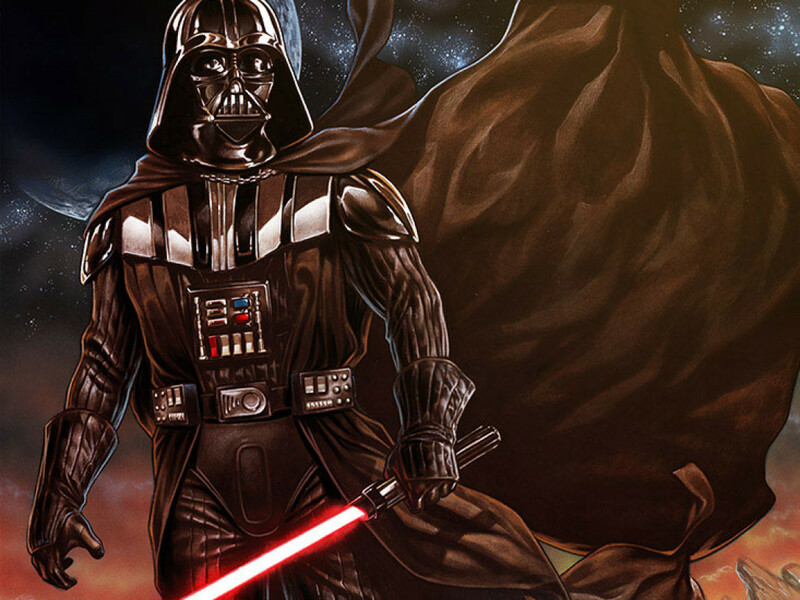 The previous crossover series we did, Vader Down, kind of took my Star Wars book and Kieron’s Darth Vader book and slammed the casts together, and grew out of Vader’s quest to get his hands on Luke. This one is the same thing, it’s Kieron and I coming up with it together. This one’s probably more his, more from what he’s been setting up in Doctor Aphra. It’s really trying to do something like Vader Down. Mix our casts up, this time mixing them up in very different ways than what we did the previous time, and playing with some very different settings and tropes. This is very much a Star Wars gothic-horror story. It starts with Aphra and Luke together, which is a pairing we didn’t really see at all in Vader Down, and that really drives this story. That’s probably been the most fun part for me, so far — reading what Kieron did with those two characters together and then carrying on from that. 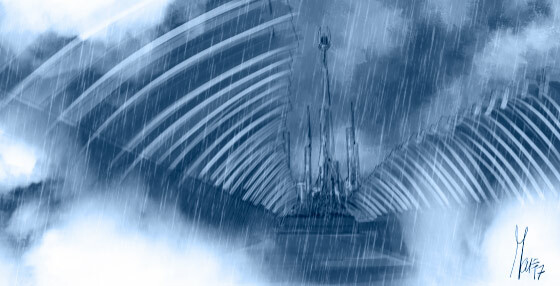 It starts with them venturing into a very dark and scary situation on a faraway alien planet and winding up in the clutches of a sinister alien queen. There’s symbiotes involved. There are Aphra’s two murderous droids and best-friend Wookiee, and then, of course, the cast of my book. 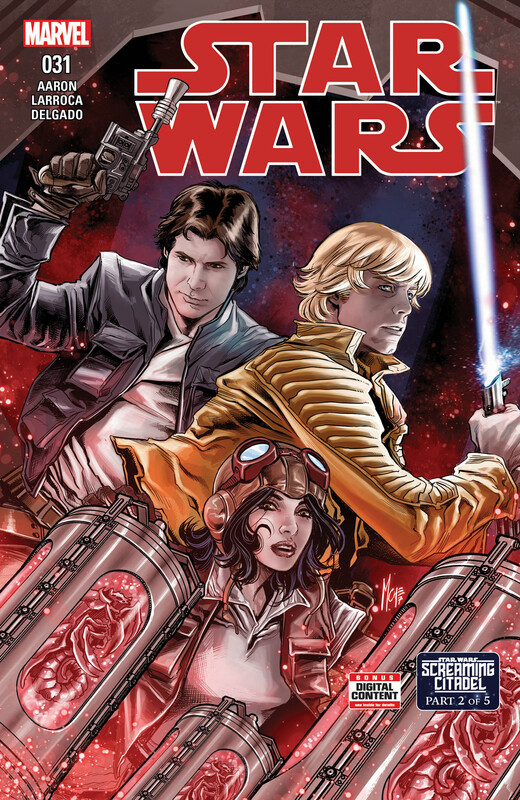 Han and Leia and Sana Starros come running into the fray, as well, and there are several new villains who are at play. StarWars.com: To take a step back, the idea of pairing Aphra and Luke together is really interesting because they’re so opposite. It’s hard to image either of them wanting anything to do with the other. Where did that idea come from, and what is it like for you guys getting to write them together? Jason Aaron: Well, story-wise, it comes from them needing something from the other. Aphra is the one who shows up and gets things rolling. She needs Luke to get what she wants, and Luke has been on a quest since the book began to become a Jedi — to become what he needs to be to win the war, to face Darth Vader. Even the end of the current arc in Star Wars — the arc that’s focusing, for the most part, on Yoda — leaves him in another place where he’s, again, desperate to become a Jedi to help his friends. That’s the path he’s on, and Aphra shows up and dangles something in front him that he thinks is gonna help him get there. So they go off together. But yeah, it’s a very different dynamic between the two of them than what we see in Star Wars, even more so, I think, than Luke and Han. Like I said, that’s been one of the most fun parts so far, is to put those two characters together and drop them into this situation. Initially on their own, and then the rest of the cast will all come into play as we go forward. Kieron Gillen: It’s like, writing the entirety of the first issue is hilarious. [Laughs] They have such different life experiences. You know, she’s a little older than he is, he’s still naive and she’s a cynical monster. And they go back and forth and they tease each other and, occasionally, they push each other’s buttons. But there’s an underlying similarity. They’ve both lost their families. They’ve both had completely different responses to the horror of the Star Wars universe, the big tragedy, and the push and pull of that is very much the heart of the book. But really, it’s just funny. It’s just fundamentally funny to see them go at each other. Writing that entire issue was a joy, in terms of how they interacted and went back and forth and how they generally got on each other’s nerves. Aphra, to begin with, gets the best of Luke, and it kind of switches up as you go further into it. Jason Aaron: Kieron, is this the most you’ve written Luke? Kieron Gillen: It must be. I wrote him a little bit in Vader Down, but it’s only a handful of pages. All I really remember writing in Vader Down is the pages where he just gets ambushed by Triple Zero. He’s making his way through that Jedi Temple. So to do an entire issue with him is a completely different kind of beast, especially the first issue. The rest of the cast is in it, but it’s really about Luke and Aphra. I felt it was quite important for the book, in that way. It establishes what their relationship is. 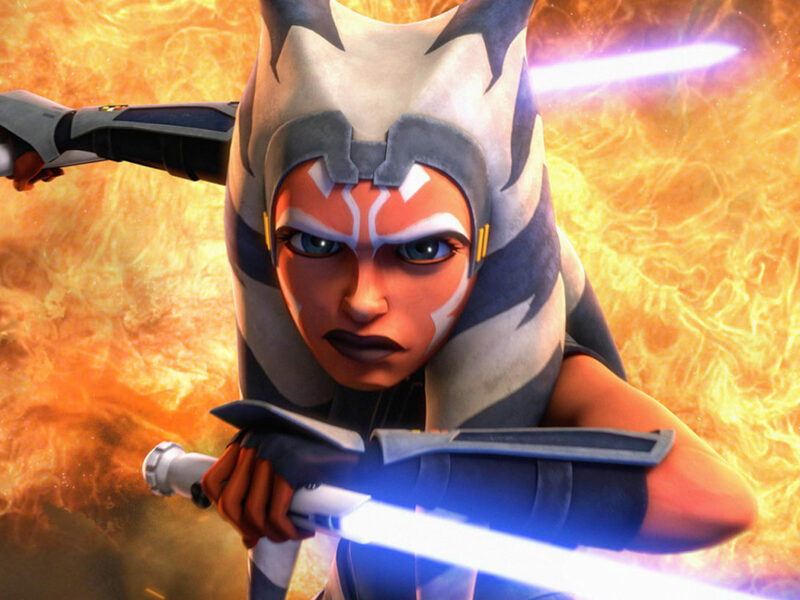 StarWars.com: Since you have been writing Aphra solo, is it strange or difficult to then throw her back in with the Star Wars icons, and have to capture their voices and have it feel right? Kieron Gillen: Well, we’re always writing icons in that kind of way. I’m glad that we had the dry run with Vader Down, so it’s not quite as unfamiliar as it was then. It’s very quite strange how it works. I feel so much more prepared and ready to write Luke now. 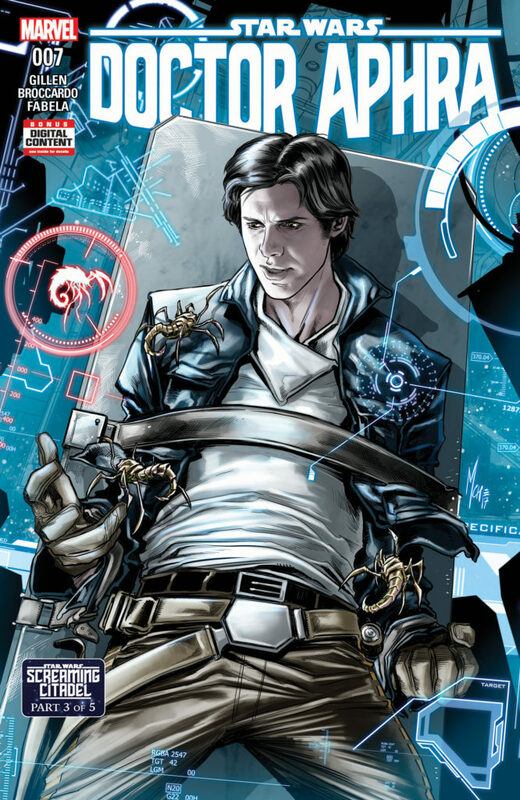 With Aphra, at least, so much of our aim is, “It’s a Star Wars book.” Despite the fact that we didn’t want any of the core cast from Star Wars in the first arc, but at the same time, all the way I’m thinking, “This is a Star Wars book.” This could be a completely different movie Lucasfilm put out. That was always our thing. Integrating it back with the main Star Wars cast feels very natural, because that’s, intellectually and aesthetically, the place I was thinking about the book, anyway. 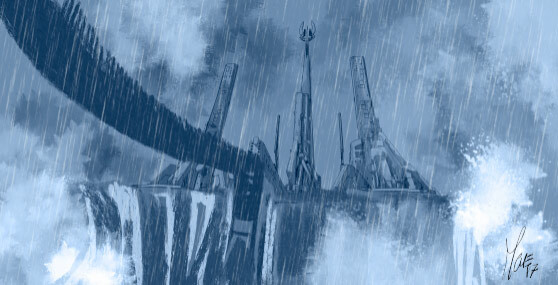 Above: Concept art of the titular Screaming Citadel by artist Marco Checchetto. 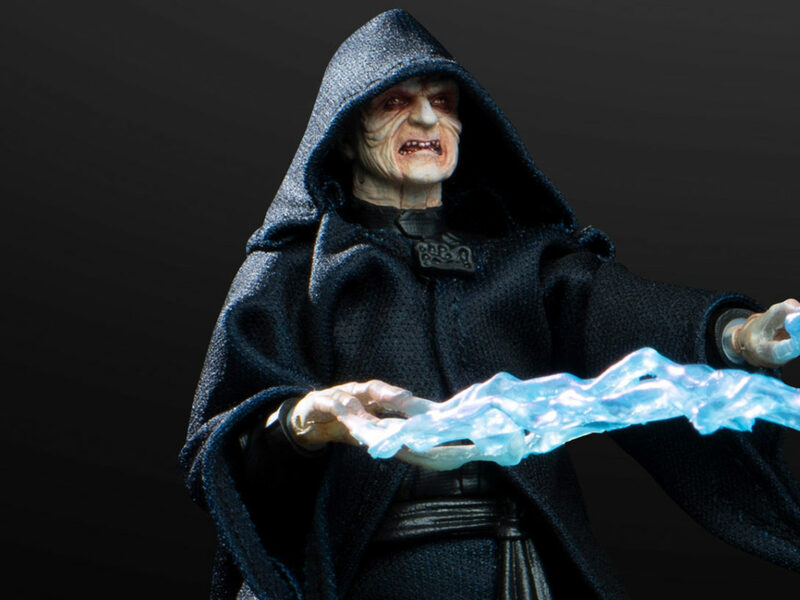 StarWars.com: Star Wars has always been a mashup of genres, and I’m curious how you landed on the gothic-horror angle, and how you’re going to approach that through a Star Wars lens. Kieron Gillen: As you say, Star Wars is a genre mash. It takes from a load of sources and you can see what they’re doing, and the whole entire point is having that integrate. 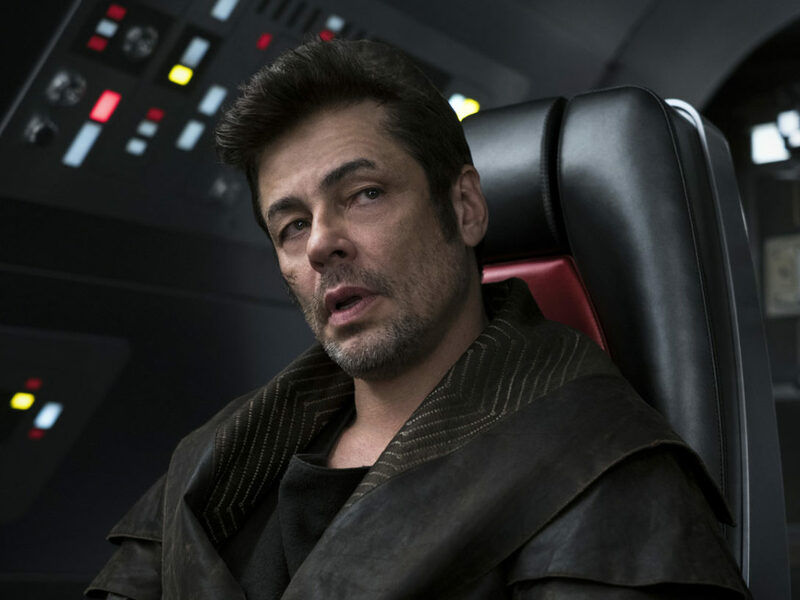 The trick is, we’re going to do this quite-hard twist, as in we’re going to lean very much to this particular genre that we haven’t seen in Star Wars before, and that’s a big part of the appeal. “Let’s do a horror story, and let’s do a horror story with this level of gothic fantasy to it.” It pretty much starts in a bar, which is as Star Wars as it gets. So it’s very grounded, we recognize it’s Star Wars. 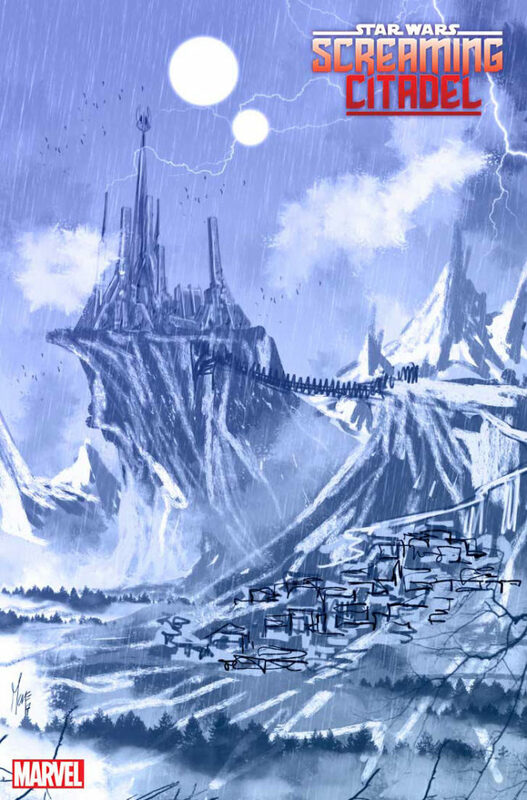 Then we travel with Luke and Aphra, and we go to this place. 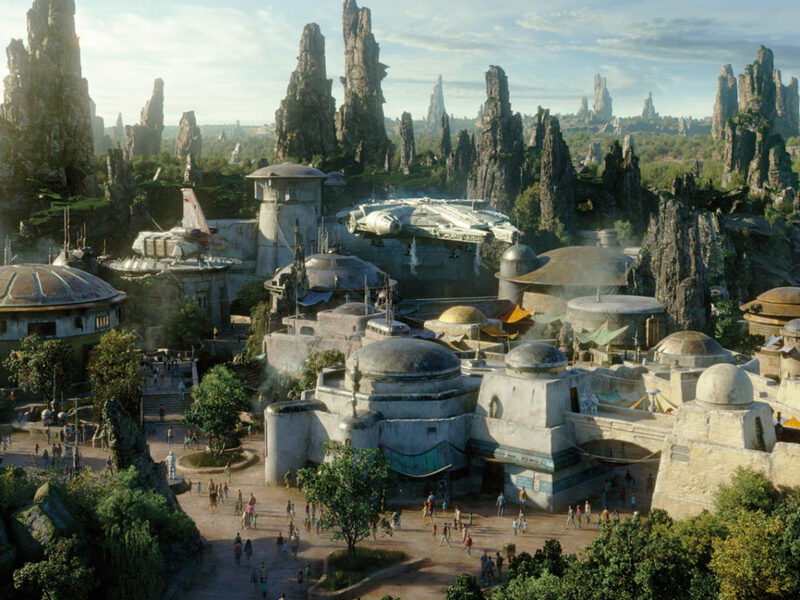 It’s instantly a Star Wars take on the trope of doing a village, and there’s a really weird castle up on the hill and it’s a bit suspicious, and they arrive there and [the people] seem very friendly but something is definitely off. You know what I mean? You understand the tropes, then you go, “Okay, how can we make them feel like Star Wars?” That’s putting the twist on it. In terms of the horror aspects of the book, which I’m being a bit sheepish around, it’s like, “How can get something that feels like that, but then also, definitely, is not just doing that in Star Wars.” It’s sort of like Aphra with the Indiana Jones influence. It’s like, “Yeah, I can see what this is like, but it’s also not like that.” If the work isn’t transformational, it’s pointless doing. StarWars.com: When it comes to introducing these elements into Star Wars, you kind of have to define it visually as you’re writing it. There’s a lot of visual references. I have all the Alexander McQueen references in my head for how people will be dressed. Jason Aaron: To me, it was kind of surprising just how easily that all fit together and just how well it worked to take these Star Wars characters and plop ’em in this kind of setting which we haven’t seen them in before. [Laughs] I think it worked right off the bat. Something felt right about it, and I think that only builds and builds as the story goes along. Kieron Gillen: The thing that strikes you is how robust these characters are. You can put them in this situation and then you see what they do. They’re heroic figures, and they respond to this situation they’re not normally used to being in, in a way that feels quite convincing. If things get a little bit spooky, you can imagine how Han is going to react. It’s this character we know so well, we can see that, and it’s quite fun. In Vader Down, the idea was, “Can you describe it in a way that would make people get why they want to read that story?” In this it’s like, “Luke Skywalker and assorted friends in a gothic-horror adventure,” and your mind goes, “Oh, that’s interesting. I get how that will work.” It’s the pop-song nature of the form, I think. Jason Aaron: Right. Part of the fun is that those assorted friends include the characters that they were fighting against in the previous crossover. There are very different kind of interactions and relationships between the cast of Kieron’s book and the cast of my book. Last time we saw them in Vader Down, they were all at odds with each other. This story starts with Aphra and Luke together, so you can imagine we’ll get very different pairings than we had last time. There’s a lot of fun to be had there. StarWars.com: Jason, you created Sana, and Kieron, you created Aphra. Obviously, you guys are shepherding these new characters that you brought to Star Wars. Is it important to you to keep evolving them even when you have to balance the responsibility of a crossover? Kieron Gillen: I think definitely. This is such an enormous story for Aphra and Sana. We alluded to their history a little before, and now it’s the chance to say, “Okay, we’re going to put them together and make them really interact in a more extended way.” They’re very much part of the emotional arc of the whole thing and how the casts end up coming together is very much linked to Sana and Aphra. Jason Aaron: Absolutely. I think this’ll be a very big arc for both of those characters, separately and together. StarWars.com: It’s gotta be a different kind of excitement for you to have characters you created playing these roles, and having them in these big crossovers. Jason Aaron: Sure. It’s a huge thrill and a very surreal experience for me just to be writing these characters in the first place. It still feels weird when I get to sit down and put words in the mouth of Luke Skywalker and Han Solo and come up with beeps and boops for R2-D2. So yeah, being able to create some new characters [is great], and there are brand new characters appearing for the first time in this arc, too. And again, part of it is taking these existing characters that we’ve followed for so long and seen on so many different adventures and putting them into a story that’s very different from what we’ve seen before. All of that is really fun and, I think, really important just to keep these books fresh and exciting. StarWars.com: When the story is over, do you see this impacting the direction your books take? Kieron Gillen: Oh, without a doubt. I think it’s like Vader Down. When we came out of Vader Down, Aphra was taking out Vader. This is an important learning experience for all the characters. I know Vader is [collected in] like, volumes 1, 2, 3, and 4. But for me, Vader Down is volume 3. This is a pure character arc and puts them where they’re going. 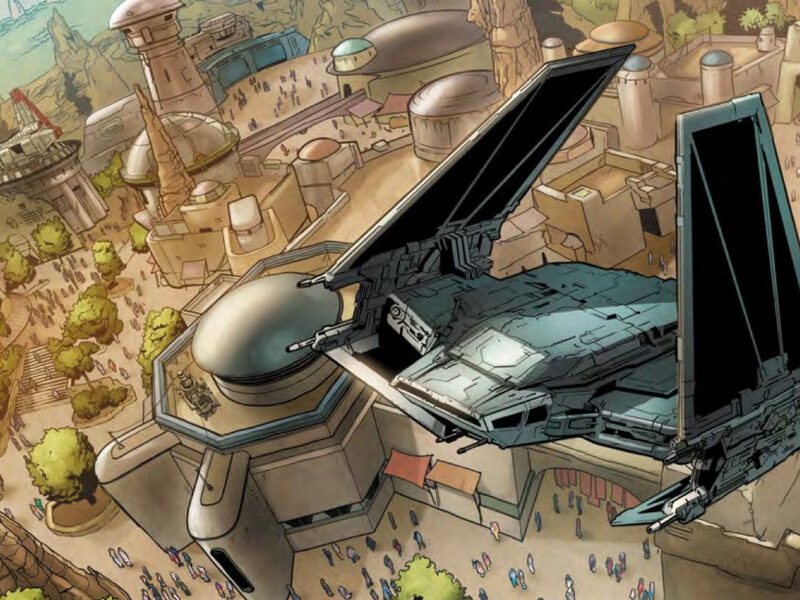 So Aphra comes out of this in a different position from where she actually comes in, and how she comes in comes completely from where the first arc of Aphra leaves off. Jason Aaron: I think both of these crossovers that we’ve done, it wasn’t a situation where we were derailing what we were doing in our books, and then wedging in another story. They were both grown out of what Kieron and I were doing. It helps that he and I have been talking about Star Wars since Marvel first started doing Star Wars books, right? He and I were there together for the first retreat we did with Lucasfilm, and we’ve been plotting two books at the center of all this from the get-go. So it’s been really easy and organic, I think, to have these crossovers grow out of what we’re both already doing. StarWars.com: One last question. If you guys want to give us a real scoop, can you tell us how it ends? Kieron Gillen: [Laughs] Uh, excitingly. [Laughs] It ends after five issues.